LUCASEY MANUFACTURING CORPORATION MAKES NO WARRANTY OF ANY KIND, EXPRESS OR IMPLIED except that the goods sold under this agreement shall be free of defects in materials and workmanship for a period of one year from the user’s date of purchase. User assumes all risk and liability resulting from the use of the goods, whether used singly or in combination with other goods. Lucasey Manufacturing Corporation neither assumes nor authorizes any person to assume for it any other liability in connection with the sale or use of the goods sold and there are no oral agreements or warranties collateral to or affecting this limited warranty. 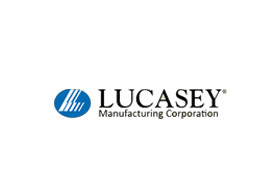 Lucasey Manufacturing Corporation will repair or replace defective parts or equipment within one year of the date of purchase, at its option, provided the part or equipment is returned pre-paid to Lucasey Manufacturing Corporation’s plant. The repaired or replaced part shall be shipped to the user, FOB Lucasey Manufacturing Corporation’s plant. NO allowance for outside labor charges are implied within the terms of this limited warranty. . Under no circumstances will Lucasey Manufacturing Corporation be responsible for special, indirect or consequential damages. The remedies set forth in this Limited Warranty are exclusive and the liability of Lucasey Manufacturing Corporation with respect to any contract of sale or anything done in connection therewith, whether in contract, in tort, under any warranty or otherwise shall not, except as expressly provided herein, exceed the price of the equipment or part on which such liability is based. Any damage caused by the improper use, operation beyond capacity, substitution of parts or equipment not approved by Lucasey Manufacturing Corporation, improper packaging, failure to observe installation or other instructions, transit, or repair by one other than Lucasey Manufacturing Corporation, will not be covered by and shall void this Limited Warranty.